How does Google rank sites? The question seems to be simple, but the answer is much more complex. Google declares that they use more than 200 different parameters to weigh relevancy for each web page, which eventually results in the list of Google results. All in a split second! Correct? Unfortunately, I do not have the exact parameters, and probably no one has them except for a few senior Google software engineers. However, SEO is a process of experimentation, therefore, there are basic parameters known to anyone in the field of Search Engine Optimization. For example, the Meta Title tag is one of the most influential aspects of on-page SEO, or the fact that backlinks are a very significant part of Google's ranking algorithm. The vast majority of the explanations written here are taken from my personal experience and some are a combination of hypotheses and common knowledge. The factors, by the way, are arranged in random order and not in the order of importance. Keywords in the Title tag - For me this one of the most important parameters, and also the easiest to influence - in many cases, a change in the title tag (adding or changing a keyword), can bounce a site to the first or second page (in Google results of course) in a matter of days. Fast results can be done mostly with low search volume keywords, and by using a indexing method. Keywords in the H1 header tag - The H1 header tag is a strong and quite significant signal. In some cases, Google will take the keywords in the H1 tag, and present them at the title, in the search results (if the algorithm "thinks" that it is more relevant than the keywords in the title tag). You can say that the H1 tag is a kind of second title. It is important to use only one H1 tag (not critical and probably will not hurt your website if you will use it more than once). Keywords in the page description, using a Meta tag - There is no doubt, that a page description is a very influential factor, that can make the difference between a user who reads your description and decide to enter your site, or perhaps move on to the other sites in the search results. Only a compelling, well-written description will result in increased CTR (Click-through rate), ie, more visitors to site, which will lead to increase in your site ranking. Keywords in header tags (H2 to H6) - These tags, which are commonly used as sub-headings, can be used for more keywords. In some cases, Google can use the H2 tag as the title in the search results. It is recommended to use the H2 and H3 tags more than the others - H4 to H6. In conclusion - You can use H2 to H6 tags as you wish, as opposed to the H1 tag, which is recommended to use only once. Mobile website's visibility - Google has a dedicated user-agent (a bot) for mobile sites, called Googlebot-Mobile. Your site results positions on mobile devices can be affected for the worse, if the bot detects that your site is not optimized for mobile. It is recommended to check if your site is mobile-friendly using a Google tool, and if it's not, you need to to make the necessary changes. The most recommended technology for optimizing a site for mobile, is responsive web design. URLs length - Pages with long URL, can affect how Google ranks those pages, and in extreme cases, does not even index them at all. Although the fact that keywords in the URL help to promote a website is very negligible, it's a good practice to make them as short as possible. Keywords in the Domain name - Once it was a much more meaningful parameter, which was used mainly by affiliates sites, by using precise keywords, but today, this parameter is less significant. Keywords in a page URL - You can get extra boost, If the main keywords for a specific page, appears also in the page URL. However, I do not recommend using logn URLs stuffed with keywords. Please see the above clause - URLs length. Website loading speed - Both Google and other search engines use site loading speed, as a significant ranking factor. Google's interest as a search engine is to show users the most relevant results. Will a overloaded website be relevant for users? probably not. In addition, Google has a pretty accurate ability to know the speed of the site by looking at the code - files sizes (images, scripts, etc. ), server response time and other paramters. You can check your pages speed using a Google tool. Private Domain Registration - You can register your domain privately, and thus you can hide the fact that you are the domain owner. How does it look to Google? Apparently you have something to hide. Avoid registering domains as private. It will cause many problems, besides page ranking. Optimizing images - Using images in a correct way on your site, can make a huge difference. Adding keywords in the ALT attribute (in the IMG tag) will influence the search results. It is important to use images and other rich media (video, etc.) in general, in order to improve the user experience and enrich the content. When all is said and done, it is imperative not to use large images, which can decrease the site loading speed - Please see the above clause - Website loading speed. Website Availability - Is your site available all the time? Or sometimes your site is unavailable due to server problems? An unstable server that causes a site to crash on a regular basis, signals to Google that it is apparently an amateur site and is not maintained properly, and if Google's bot visits the site several times, and the site is unavailable at those visits, it will simply decrease the site ranking, or even remove it from the index. Choosing a quality and reliable website hosting company, is one of the most important choices you need to make. 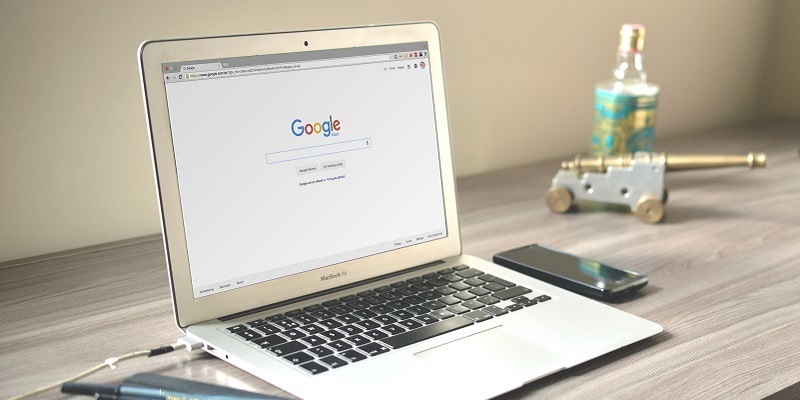 Google webmaster tools - Most sites on the internet, use Google's tools like Google Analytics and Google Search Console, in order to retrieve statistics and technical data. Over the years I've heard quite a few stories regarding those tools - someone who one day simply disconnected the analytics tool from his site, and a day later all his keywords positions drastically decreased. There are those who do not want to give Google an access to their site data, and claim that these tools are aggressive spy tools. The way I see it, those tools can help you mange your site in an efficient way, and can increase your site ranking. The ideal length for your website content - Various studies seems to indicate a dirct link between longer and deeper content, and a better potential for the rankings of a particular page. In addition, long content with a lot of text has the potential to be found through much more searches (mostly long-tail keywords). Number of pages - More precisely, the number of pages that Google indexed, with emphasis on pages and not results, which can be images, scripts, etc. Duplicate Content - One of the most critical aspects of page rank in Google, is original content. If the content on your site is duplicated (whether it's a duplicate within the site itself or from other sites) your site ranking positions will be decrease significantly. Contact details with public visibility - Google likes sites that have a public contact details, in the domain contact information section, and in the website itself - in pages like 'About Us' or 'Contact Us'. Even if you have nothing to hide (and I hope you do not), you should always write a little about yourself or your company, add contact information like email and phone number and full address. Update Frequency - Google updates have increased the importance, of the frequency of content updating on sites, as a parameter for weighting its score. Sites that are not updated at all, or very seldom, are likely not to be so relevant to users, compared to sites that are updated frequently and maintain a high level of freshness. Of course, the scope of the changes is also important - it is not enough to add a word here and there, but it is important to add new pages to the site, improve existing pages and strive to be innovative at all the time. Internal links - In my opinion, this is one of the best things you can do on your site, which has nothing to do with external activity in general (ie external links). Internal links to pages on your site, can reinforce specific pages that you want to highlight and promote more in Google - depending on the importance and hierarchy of the page on the site. As always when you talk about links - it's not just quantity, it's mainly quality. That is, the more the internal link comes out of a stronger, older page, the better. Keywords Hierarchy - There seems to be some effect, on the order in which a particular keyword appear on a page and its strength in Google search results. It is likely that the more the main keywords of a particular page appears at the top of the page, the more important they becomes. Links Hierarchy - A link to your site at the top of a page (for example, in the first paragraph of an article) will have a higher value, than a link at the bottom of that page. Link Relevance - You should aim to get links from as many sites as possible, that are relevant to your site, or to the site you're promoting. Backlinks from authoritative sites - Links from authoritative sites, is one of the most important parameters for SEO. The more links you get from authoritative sites, the more reliable and authoritative your site will be to Google. Link Velocity - You can not always control this parameter, especially if your site gets natural links, but it is important to maintain a logical pace of link building. Reciprocal Linking - Do not overdo it with a reciprocal link building strategy - Google itself declares that it is a dangerous practice and even sends warning messages through Webmaster Tools, when your site is suspected of doing so.